You promise to keep us safe. We promise to keep you organized. With over one million active personnel in the branches of the United States military, one thing is for certain—organization is key. As personnel numbers continue to grow, the gear, supplies, and weapons that are required to be on hand multiply as well. 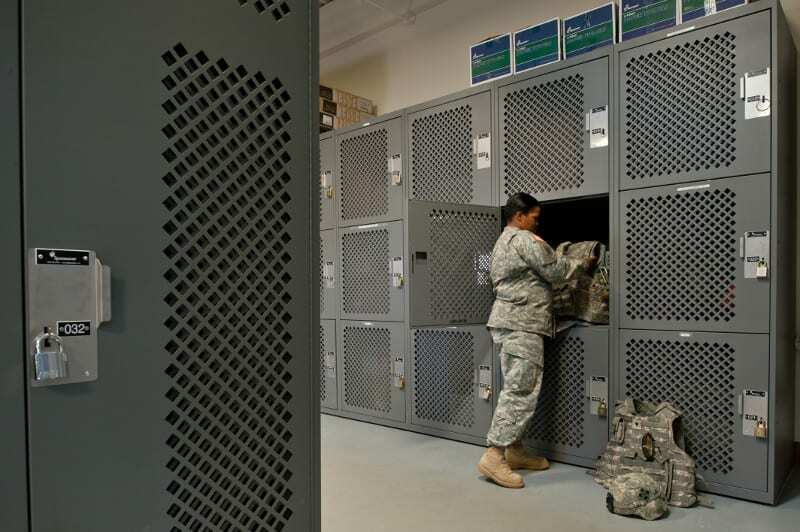 In partnership with Spacesaver, we take on the challenge of organizing the areas of your military base—creating highly functional and efficient spaces for our soliders to perform their duties to the best of their abilities. 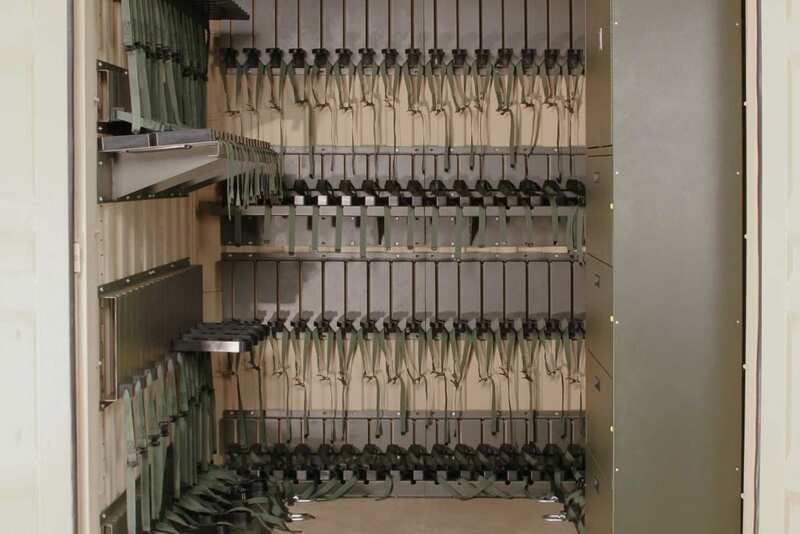 Take a look at our solutions for military base storage and military deployment storage. 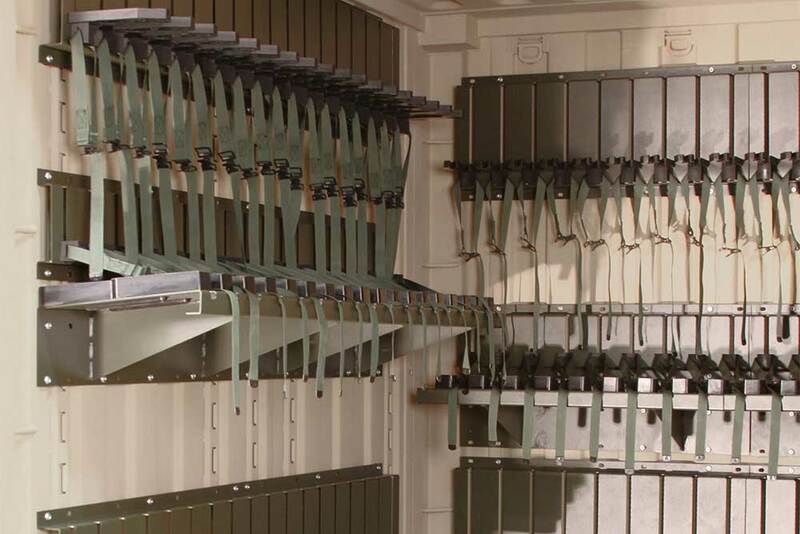 Designed with soldiers in mind, the Universal Weapons Rack (UWR) was engineered with one goal—to be a single solution for multiple deployment scenarios. The flexibility and sustainability of the UWR make it possible to be ready at all times, with adjustable racks for a variety of weapons sizes, the ability to keep optics attached to weapons, and the option to be paired with high-density mobile storage for the ultimate in weapons storage density. 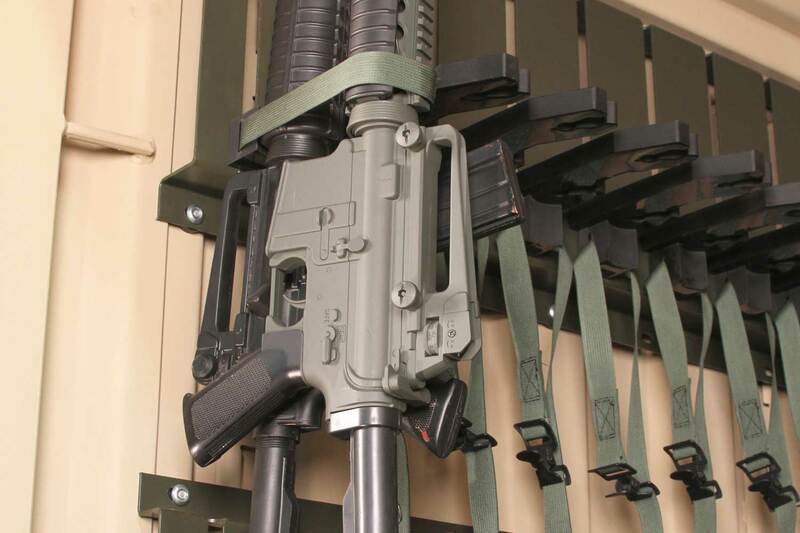 Regardless of branch or unit, keeping military personnel gear and equipment ready and secure is important. 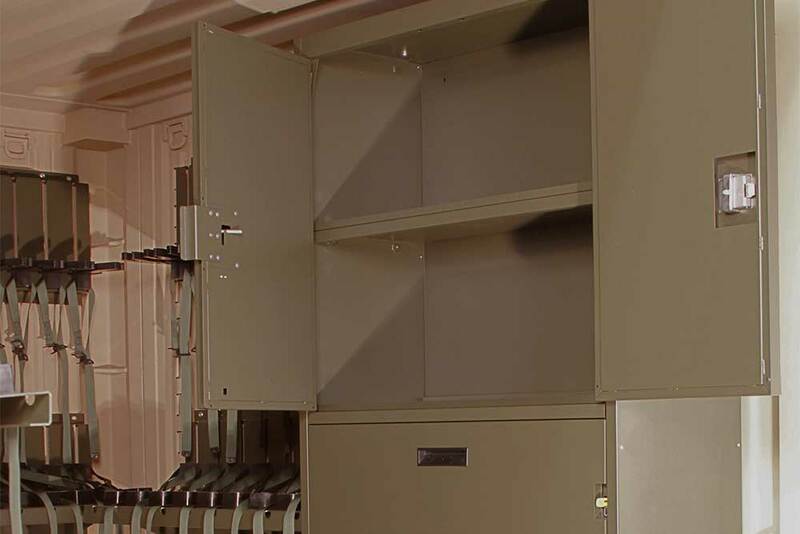 Rugged, all-steel gear lockers are built to last in demanding military applications. Choose from a broad selection of sizes and configurations to meet your specific needs—and outfit the interior by choosing from a variety of modular accessories. 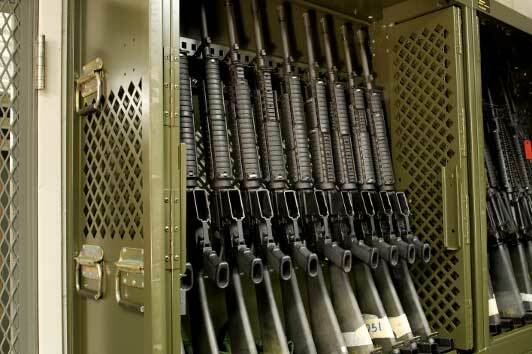 When it comes to weapons storage, the needs of a field mission are very different that of those in garrison—and when you ship weapons containers that aren’t optimal for deployment, it can create issues. 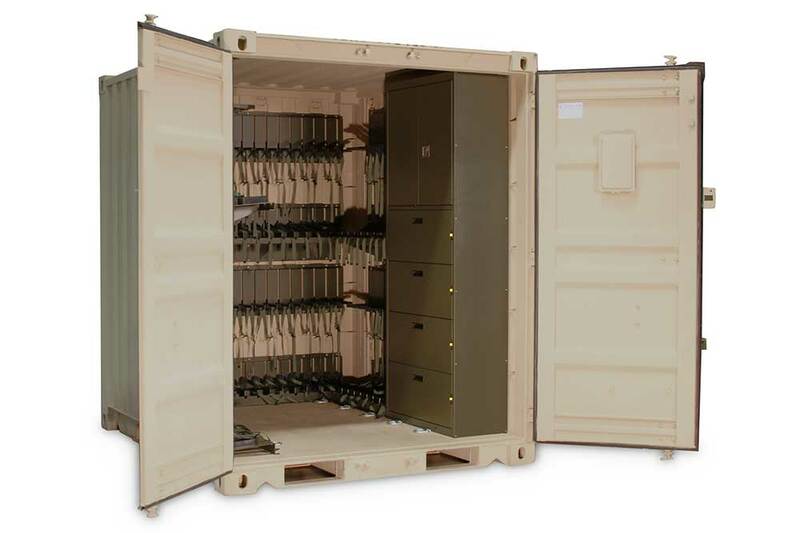 Hearing this, Spacesaver’s engineers developed a variation on the military TriCON container, the Universal Expeditionary Weapons Storage System (UWESS) that would be capable of storing, shipping, and supporting all arms, crew-serve weapons, and associated collateral gear in one place for prime organization. 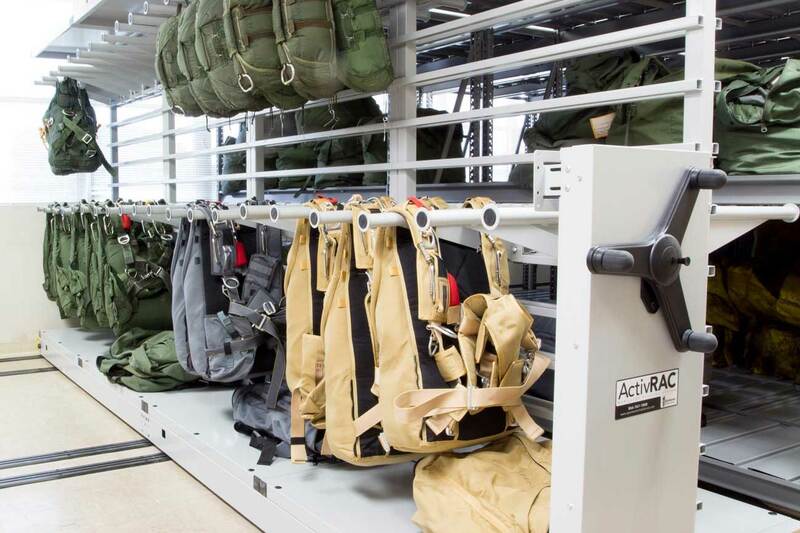 Protecting the lives of soldiers is important—and for parachute riggers, that means being absolutely certain about the safety and security of the hundreds of personnel parachutes they pack and store on a daily basis. 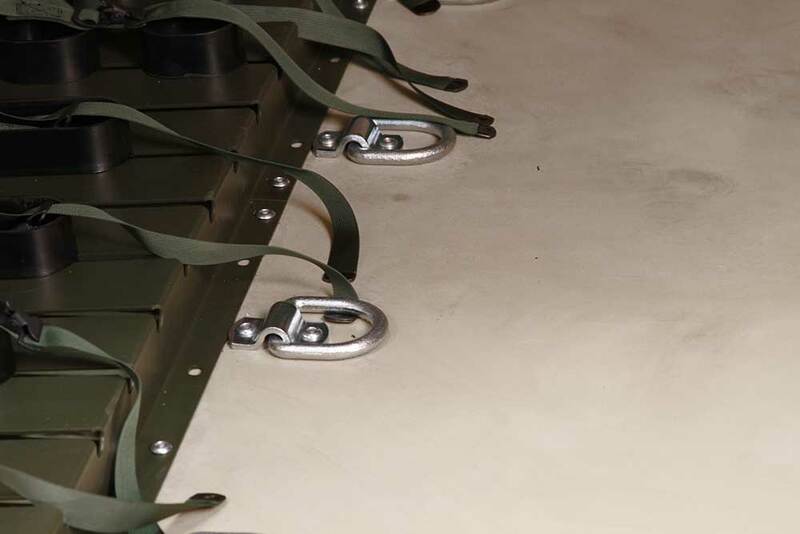 To assist with this critical aspect, two systems—the Universal Storage Container and the Parachute Rack Storage Systems provides a way to compact parachute storage in a way that doesn’t compromise or harm the equipment. With the fast pace and busy environment that surrounds military bases, there is one place that is almost always the most hectic— the Central Issue Facility (CIF). The CIF ensures that soldiers have all of their clothing and equipment they need to be mobilized at any time— whether it’s for war or a domestic emergency. Because of that, OCIE equipment and supplies are frequently being checked out and turned it. The organization of this room ultimately makes or breaks the unit as a whole. 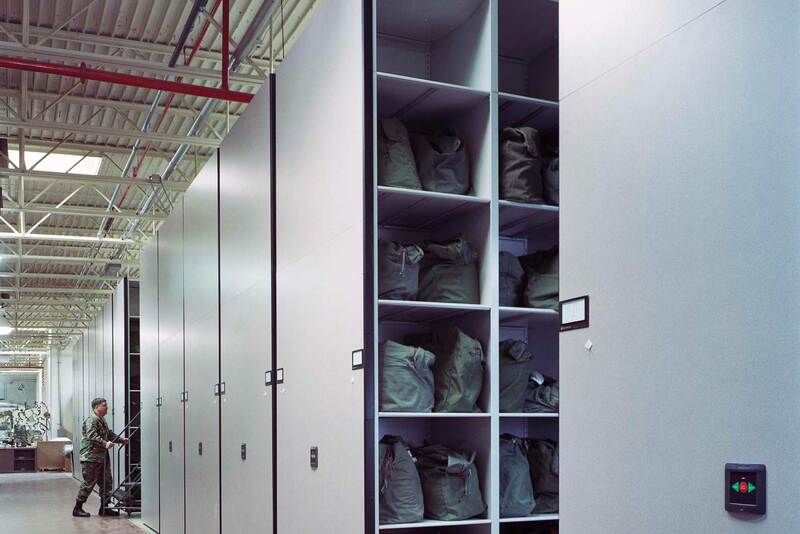 Utilizing Spacesaver’s high-density mobile systems is a way to provide the most organized storage method and can even decrease transaction time. Financial Liability Investigation of Property Loss (FLIPLs) is an investigation into the facts and circumstances surrounding property that is lost, damaged or destroyed. In order to avoid FLIPLS, there needs to be a plan in place to have control, accountability and security of OCIE, weapons and other high value assets. Making sure your equipment is accounted for increases the chance of maintaining supply discipline. 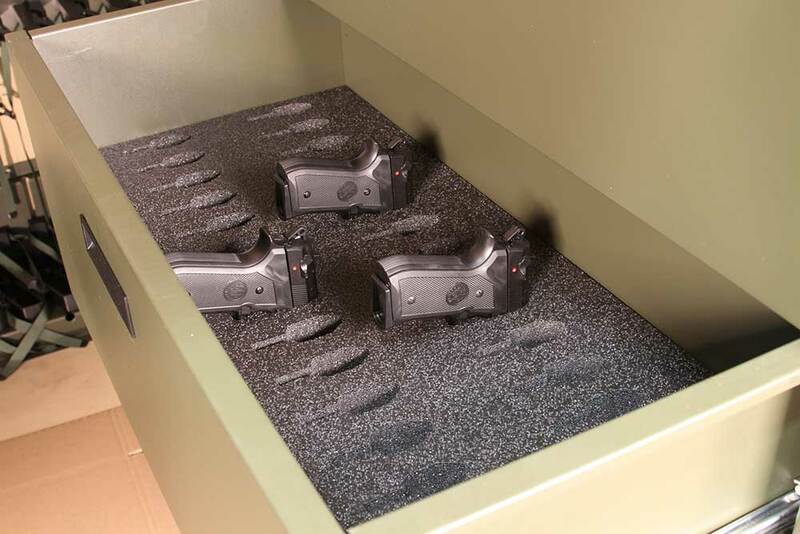 All of the storage solutions above can assist you in eliminating FLIPLs, freeing up more time to concentrate on the tasks at hand.